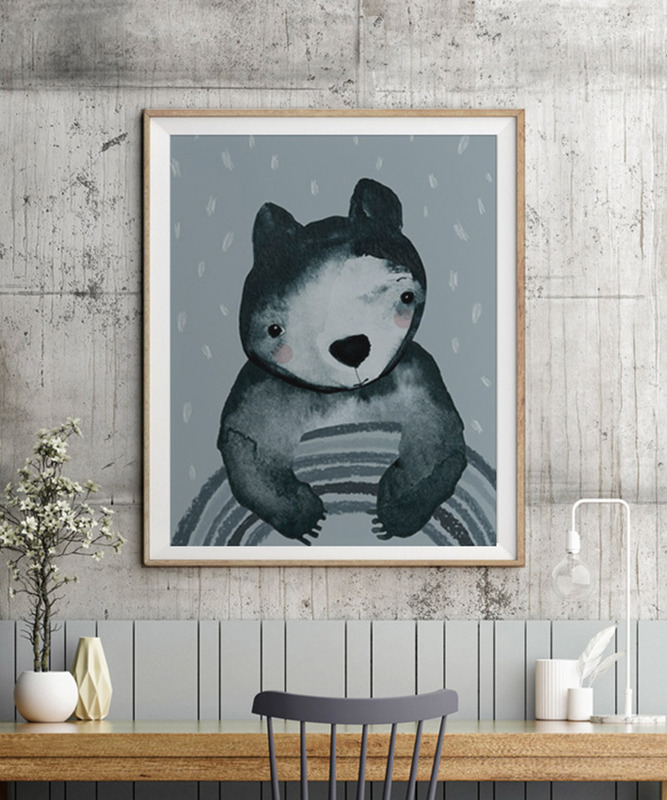 We had the pleasure of chatting with Ainslie, a watercolour illustrator who designs prints and posters especially for kids! 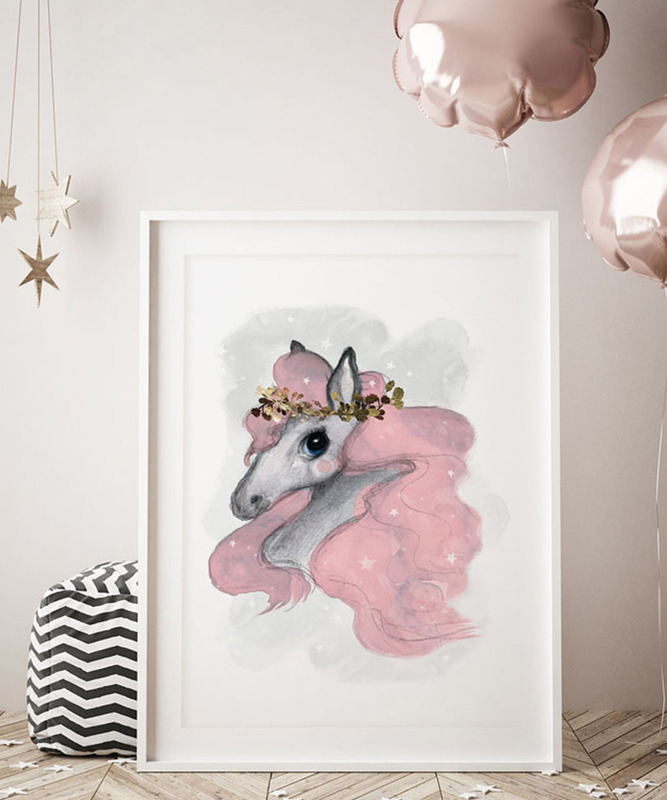 Be sure to pop by Ainslie’s debut stall Violet Eyes at our Melbourne market this weekend! This is my first market at Finders Keepers in Melbourne SS17! 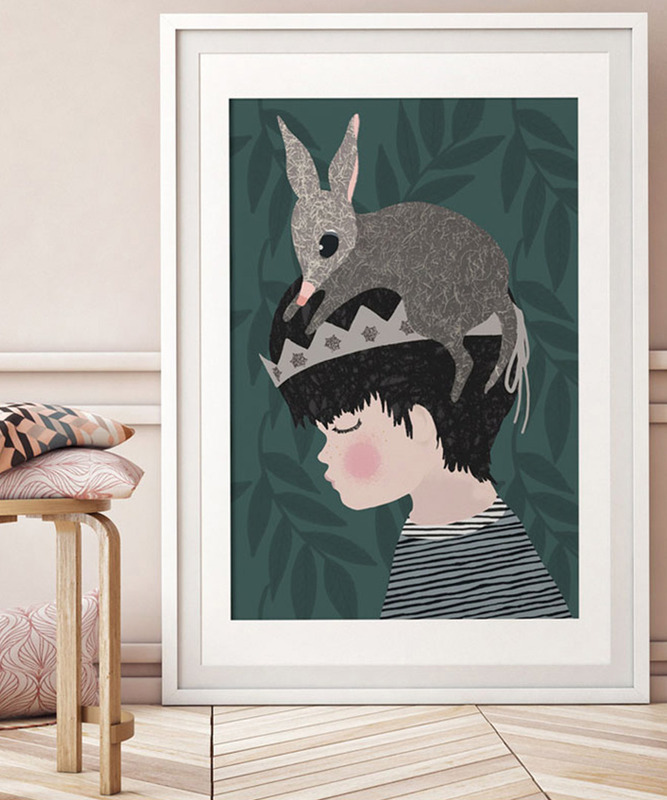 I have worked as a commercial illustrator and textile designer for the last 15 years and mostly behind the scenes. 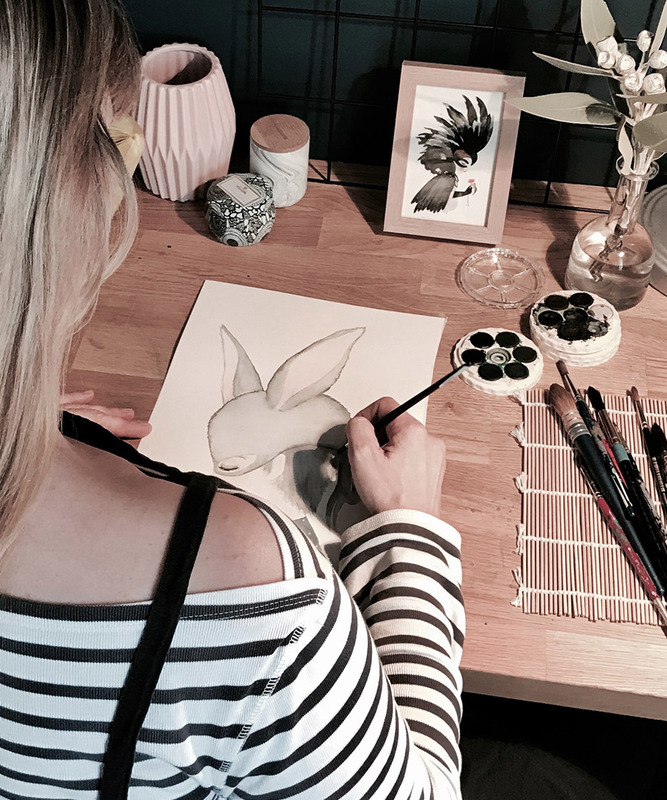 After the birth of my daughter I wasn’t able to continue working as a freelancer with short deadlines so I set out to create a new business using my skills and allowing me to work from home. 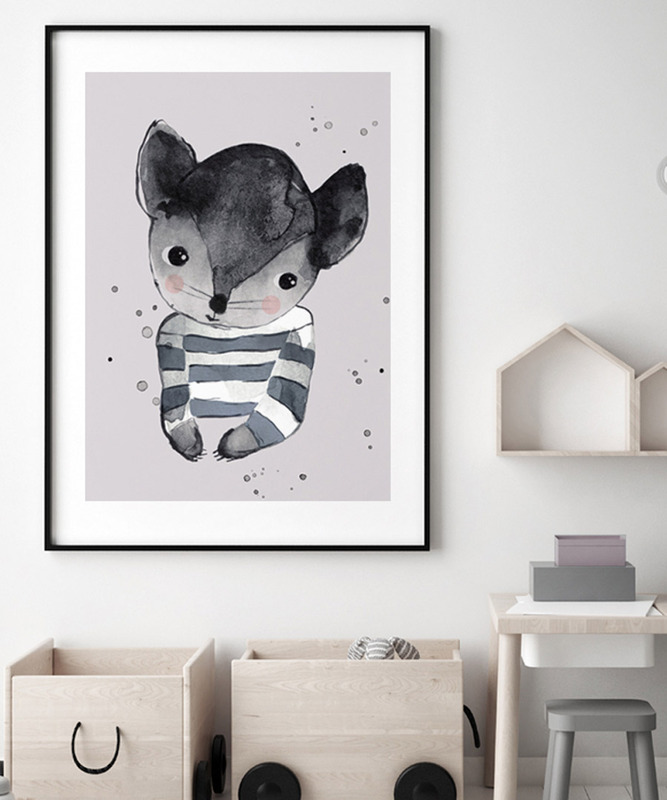 I wanted to create a contemporary and whimsical take on Australian animals and plants for kids interiors with Violet Eyes. I paint and design all the imagery myself then print it locally and in small batches. It’s a very Melbourne-centric business with all my suppliers and manufacturers within driving distance of my house. I wanted to make a small footprint, efficient and local business that allowed me to work closely and personally with everyone. I have found the journey to be incredibly rewarding so far and there have been some really challenging moments as well as a few steep learning curves. Along the way I have worked with some great mentors to help me keep focused and achieve my goals with limited hours and juggling the needs of a young child and family. The greatest pleasure has been connecting with and finding an audience for my work and putting my own vision out into the world without it being edited by someone else. 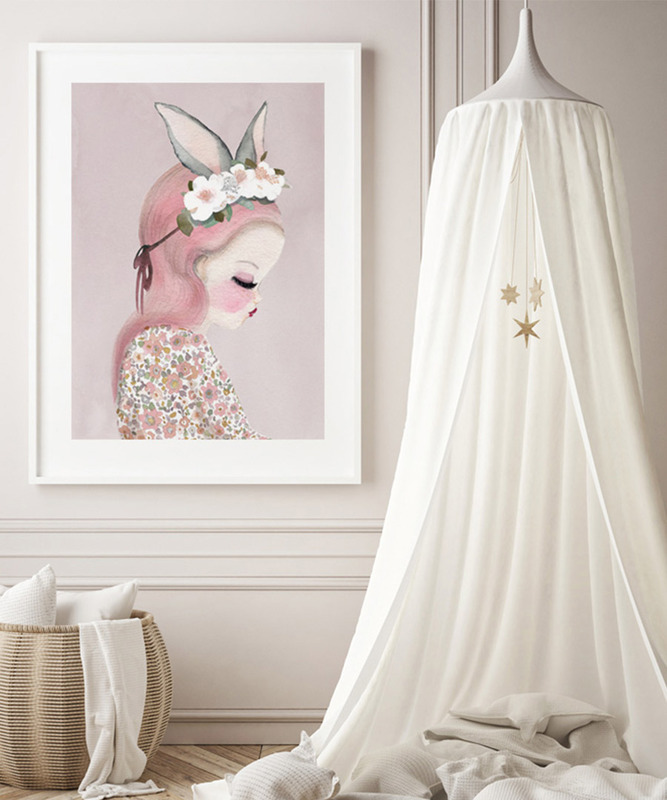 Building a brand focused on the children’s market has also been so fun and lighthearted and it has helped me reconnect with the language of playfulness, dreams and imagination. Talk us through a typical day in the life of Violet Eyes. A typical day starts usually just after I drop my daughter at her daycare. I stop and grab a coffee on the way home and then usually I sit and make a quick list of the most important jobs of the day. I literally work non-stop until 4pm as the day goes incredibly fast. I do admin and design related stuff in the mornings and pack orders and go to the post office in the afternoon. I pick my daughter up around 4:30-5pm then after dinner and her bedtime I head back to work around 8:30pm until about 11:30pm most nights during the week. This is my favourite time to paint and work on drawings. I have a studio at home so I am lucky that I can work around my family and be home when I need to be for my daughter. At the moment this really works for me but I would love to stretch out into a bigger space when the time feels right. I think these days I am inspired mostly by my friends and particularly other women who have families and run their own businesses. It requires a certain kind of stamina and a huge amount of organisation so I am always looking to others to remind myself it is possible on the days I get overwhelmed! Over many years I have taken in and absorbed so much from many artists and painters and designers and now I find seeing the world through the eyes of my daughter has given me so much new inspiration. It’s literally like taking a step back and exploring the world with fresh eyes and seeing everyday things as magical and amazing that has been one of the best gifts of parenting! I also think having less time to work has made my processes really efficient. I have switched to working in watercolour and pencil as its fast and easy to clean up. I kind of just start everything straight away and work really intensely rather than spending too much time thinking and this has made me produce in my opinion better work and much more of it! I have always felt quite lucky that I have so many ideas and so much stuff I want to work on. I never run out of inspiration! My go to places to refuel the creative tank are different these days! I love visiting the park, drawing with my daughter, scrolling through pinterest and just wondering through art stores choosing new paints and buying fresh paper makes me so happy! I don’t have the hours I once had to read and wander but it hasn’t really affected my work at all! Other Finders Keepers designers I love are Halcyon Nights and Takeawai. Both incredible ladies with fabulous products I have purchased for my own home! My proudest moment to date has been having my first stand at a fair earlier this month. It was a really great moment to stand back and look at an actual physical representation of all the ideas in my head! And also it was lovely to connect with customers and get feedback on my work.